A new poll released Monday shows New York Gov. Andrew Cuomo holding big leads over two potential Republican challengers and celebrity Cynthia Nixon, who reportedly is considering challenging the Democrat as he seeks a third term in office. The Siena College poll found that registered voters in New York state prefer Gov. Cuomo over Dutchess County Executive Marc Molinaro by 57 percent to 29 percent. They also favor Gov. Cuomo over state Sen. John DeFrancisco, of Syracuse, 57 percent to 28 percent, according to the poll. Democrats overwhelmingly favor Gov. Cuomo over Nixon, a potential primary challenger, by 66 percent to 19 percent. There have been reports that Nixon is considering challenging Gov. Cuomo in the September primary. Nixon, 51, is a supporter of New York City Mayor Bill de Blasio, a fellow Democrat who often clashes with Gov. Cuomo on a variety of issues. Molinaro plans to formally kick off his campaign April 2, several weeks after he began getting the support of local GOP leaders upon telling them he was running. Republicans are expected to select a candidate at their state convention in May. Gov. 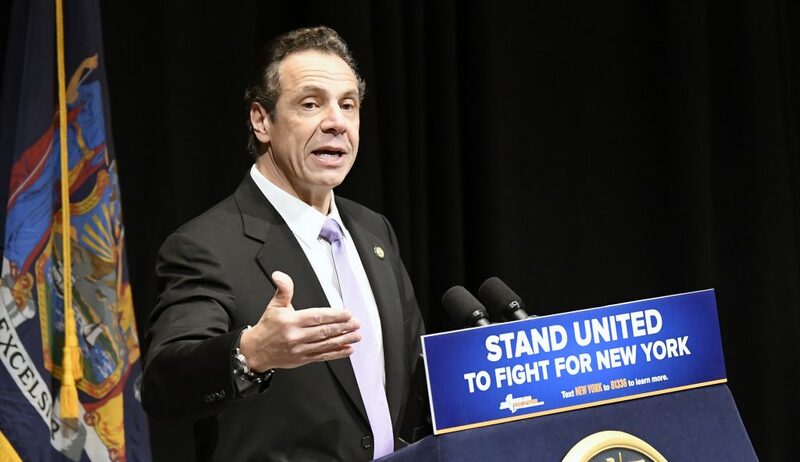 Cuomo’s favorability rating slipped slightly from the previous month, with 52 percent of voters saying they had a favorable view of the governor compared to 40 percent who were unfavorable. A February Siena poll had Gov. Cuomo’s favorability rating at 53 percent, down from 62 percent the previous month. The poll of 772 registered voters was conducted March 11-16. The poll has a margin of error of 4 percentage points.